Here are a few C Language Interview Questions for you! 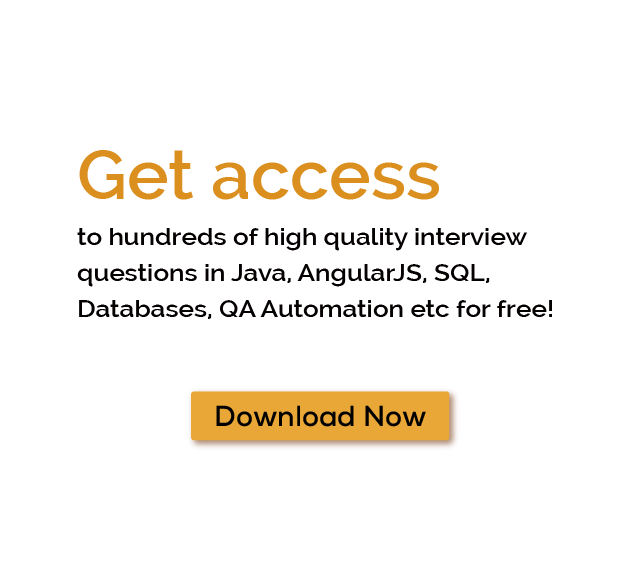 Download more High Quality C Language Interview Questions! C programming language is a procedural type of programming language developed by Dennis M. Ritchie in 1972 at the Bell Telephone Laboratories. C is the most popular and consistently used among all programming languages. This tutorial will help you to learn basics and complete information about C programming language. UNIX operating system, Linux and database like MySQL have been written in C language. C is also known as Middle Level language. This language has extensive power to access low level functions of system. A low level language give access to the machines basic instruction set. A middle level language like C, does not provide all the constructs found in high-languages but on the other hand it gives you all the building blocks that you will require. Microsoft C and Borlands C are considered to be the two most used personal computers. New version of Microsoft C is considered to be the most powerful and efficient C compiler presently. Now we will explain you about basics of C programs. There are following things that needs to be taken care for structure of C programs. There are five types of data in C.int - integer: a whole number. float - number with a fractional part. double - double-precision floating point value. Now we will describe more features about C language. C programming is easy for beginners because if a fresher know C then he can easily learn any other programming language because all logical concepts will be covered with C programming. Software developer must know that he can create variables to store values. A variable is just a named area of storage that can hold a single value which can be numeric or character. C is extremely fussy about how developer create variables and what type of variable stored in them. It requires some information to declare the name of each variable and its type, class, before its execution. Local variable plays a vital role in programming world. These variables are used within function. Boolean as true and false. This module contains looping logics available to the C programmer with the program control constructs. he biggest achievement of programming is that you can write any program using loops and if statements without the use of other control statements. There can be some other types of control statement to make development faster. Decision making structures programmer needs one or more conditions to be evaluated or tested by the program, along with statements to be executed if the condition is true, and false vice versa. Pointers in C are very important and easy to implement. C programming support pointers to create programs, and other tasks, such as dynamic memory allocation, can be performed without using pointers. Pointers are essential if you want to become a successful C programmer. Type casting is another important feature to convert a variable from one data type to another data type. If you want to store a 'long' value into simple integer then you can type cast 'long' to 'int'. Type can be easily transformed the values from one type to another explicitly using the cast operator . Last word: - C programming plays important role in several OS development. It can easily handle mid scale and complex projects. It has many features like pointers, functions, data types, arrays, type casting etc to support easy development. C programming language is very much faster than other languages and even equivalent to assembly language. Some of the many C Language Interview Questions listed below will help you get an idea about what questions gets asked in such jobs related to Software Engineering & Tech. Get through the C Language Interview bar with our selected C Language Interview Questions for all C Language enthusiasts! For thousands of similar C Language Interview Questions login to our Website or download EduThrill. Experience the thrill of challenging people around the world on C Language Interview Questions!